Feel like a (very chic) local in this converted townhouse. It's the rare first-time visitor to Paris who isn't struck dumb with shock that some people actually get to live in such a beautiful city. Normal people get to stroll these gilded bridges en route to work? Get to eat these pastries every morning? Residing there seems like a fantasy. 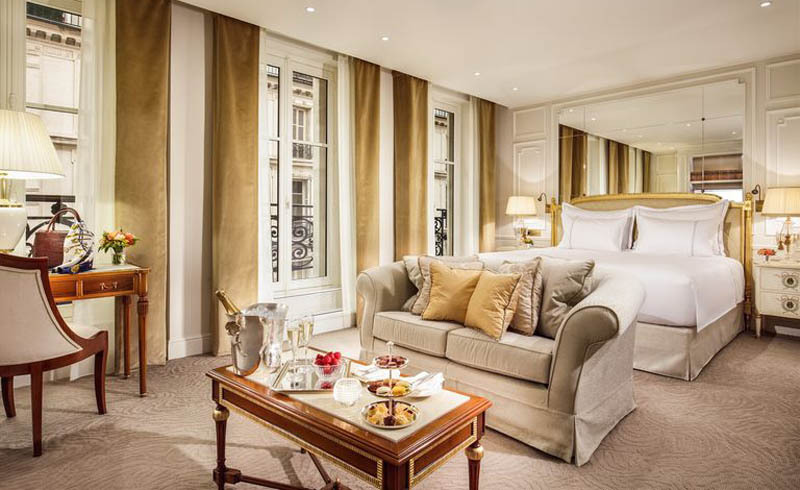 And while there are plenty of massive hotels in the city to house all those starry-eyed visitors, the Hotel Splendide Royal provides a slightly different experience: that of the person who just happens to live there (and live there well). Until recently, it was a private townhouse, and the discreet emerald-green exterior is hidden away on the tiny Rue du Cirque. 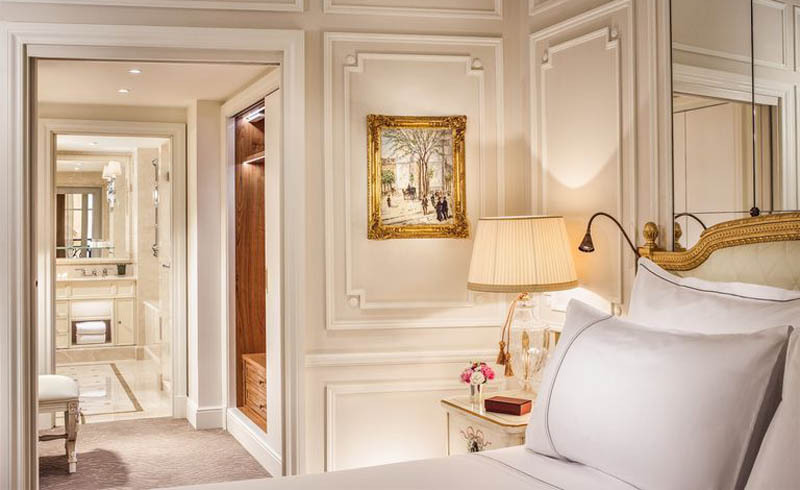 The hotel, which is also a member of the esteemed association Relais & Châteaux, opened in 2016 with just a handful of rooms, each with an elegant cream-and-gold palette and furnishings in silk and taffeta. While there are only a handful of rooms, the staff still have a favorite. Maître de maison Benoit Saudemont gives the inside scoop. Which room is the best at Hotel Splendide Royal? We only have 12 Suites and Junior Suites in our property. Only two per floor! The rooms are very spacious from 35sqm to 65sqm—even 110sqm if you book the privatize the entire floor and take the Family Suite. Some rooms have special features like a wooden Versailles parquet on the first floor or Parisian mansards on the top floor. But the best room is the 501 Elysée Suite. The 501 Elysée Suite is our "coup de cœur." First the room is spacious, comfortable, and very elegant. The bathroom is huge and made with an elegant and soft pastel color marble. 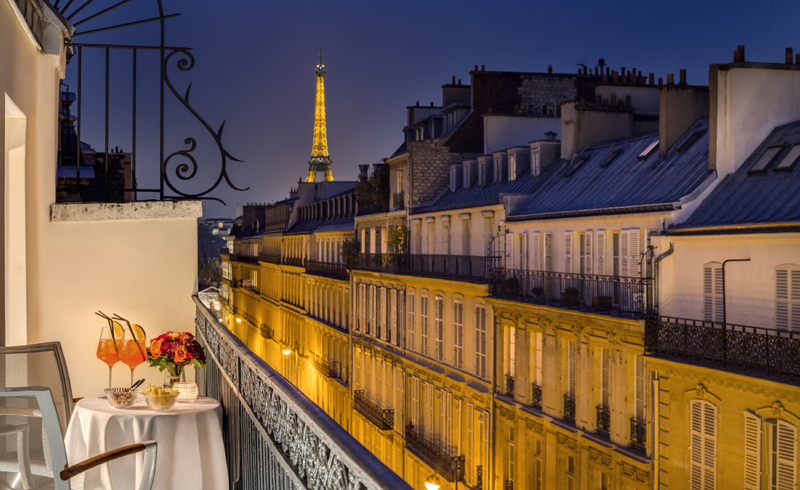 But what makes the room so special is this Parisian balcony with a wonderful view on the Eiffel Tower. Breathtaking! Who is your typical guest at the hotel? Even if we cannot say we have a typical guest, we usually welcome leisure guests: mainly foreigners and couples who are coming for a first, second or umpteenth visit to Paris and looking for something special and unique. 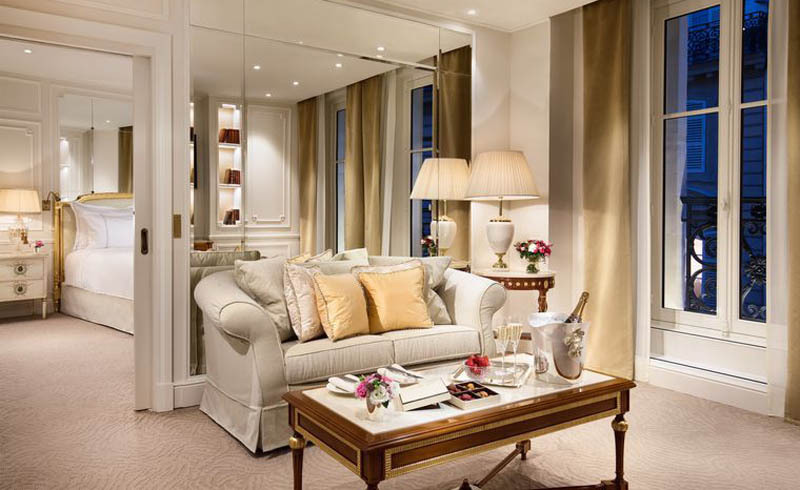 Our intimate and confidential Parisian home with spacious rooms offer them a very comfortable and memorable stay in a central, safe, and quiet area of the City of Lights. What's one local recommendation you give first-time visitors? We are quite ideally located. The 8th district is indeed very prestigious and you can find luxurious boutiques and galleries all around this area, along with the finest restaurants. The main cultural and touristic attractions also surround the property. 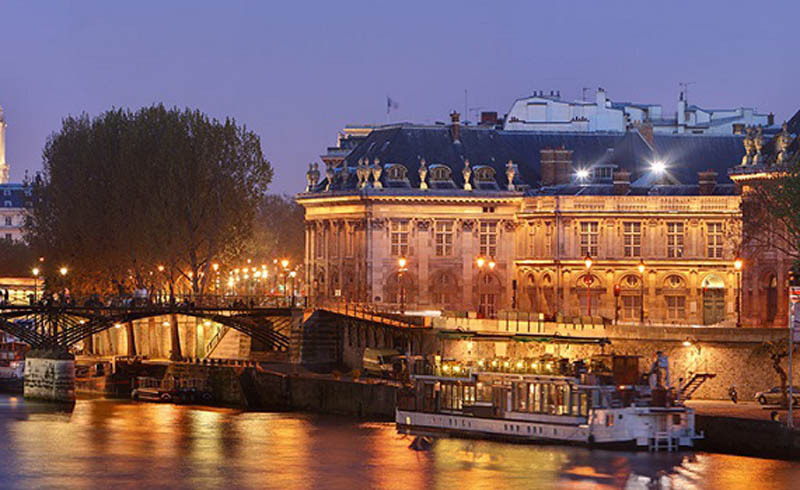 The area is full of possibilities from a shopping afternoon on the Faubourg Saint-Honoré, to a walk by the river to see a wonderful sunset from the Bridge Alexander III or see that latest exhibition at the Grand Palais. But the main attraction remains one of the most beautiful avenues in the world, the Champs-Elysées.